ART TRIP DIVISION 33 – Hallucinogenic Art For The Most Sophisticated User and or User’s Only. Art Collection, theme and master plans created by Celebrity Killer and Celebrity Killer only Renato Caravaggio. 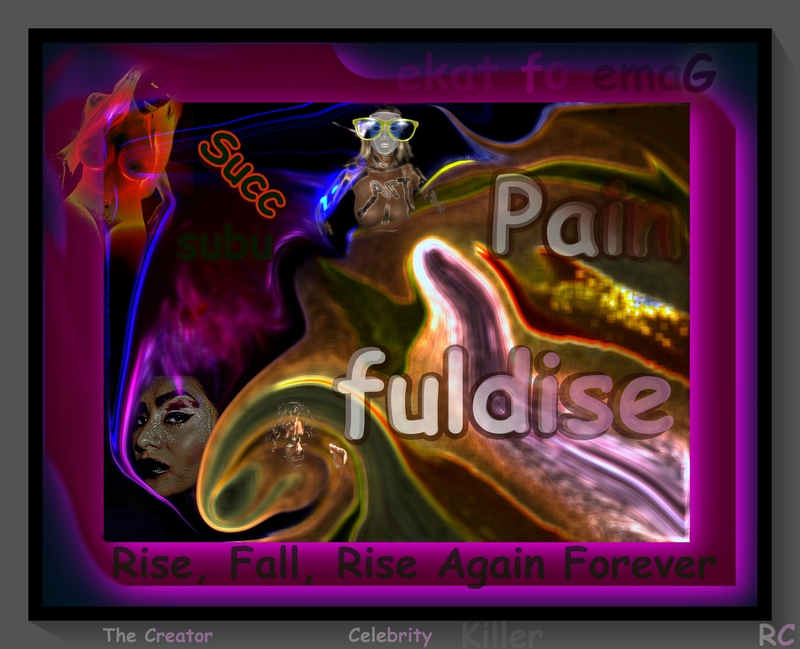 Painfuldise – Land of the Succubus and her never ending line of Wanting Victims. An original creation by Celebrity Killer. Ms. Eccentric Likes To Wear Boot Gloves. Original Creation by Celebrity Killer Renato Caravaggio. This entry is filed under Art, Art Trip Division 33, Celebrity Killer, Celebrity Killer Art Collection, The Succubus Art Collection by Caravaggio and tagged art, Art Trip Division 33, celebrity killer, celebrity killer art trip division 33, celebrity killer art work, celebrity killer hallucinogenic art, celebrity killer images, celebrity killer stories, celebritykiller, hallucinogenic art, Ms. Eccentric Likes To Wear Boot Gloves, multi dimensional art, painfuldise, sophisticated hallucinogenic art, succubus, the game of take, thecelebritykiller, three dimensional art, trippy art.